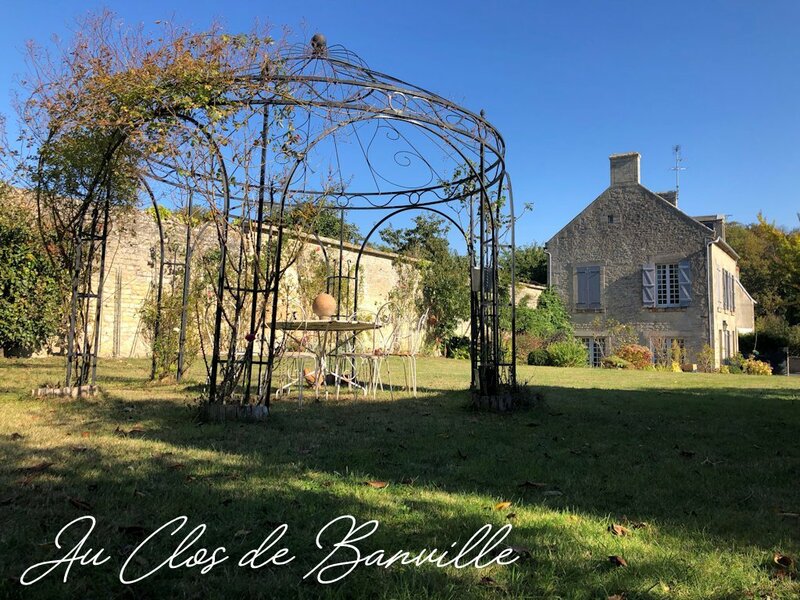 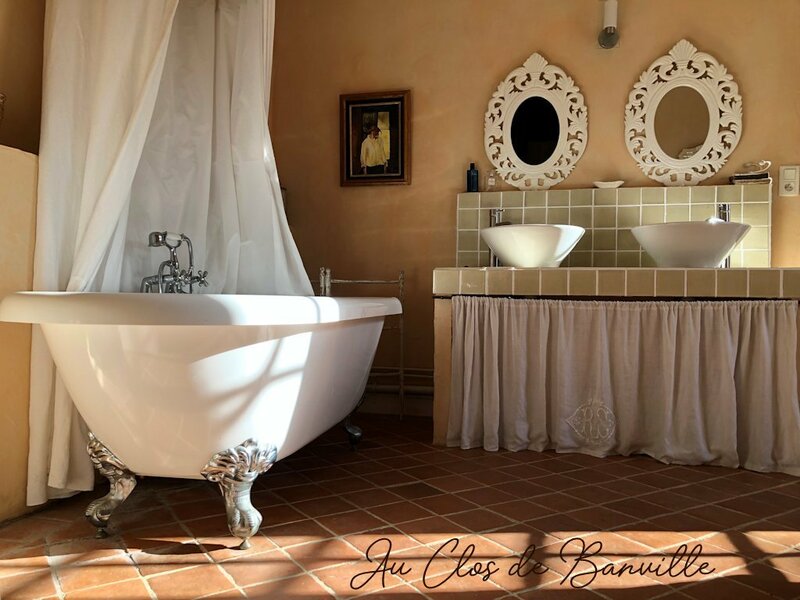 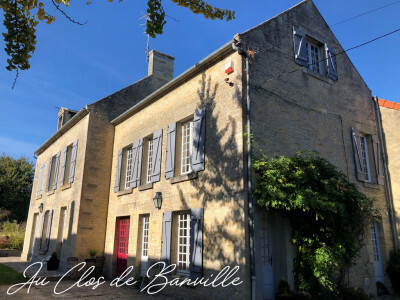 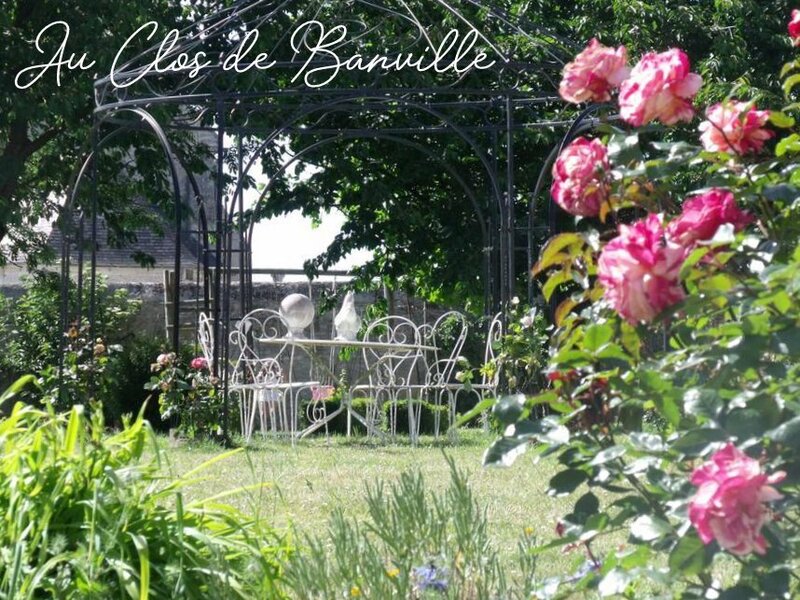 Welcome to the "Au Clos de Banville", charming guest rooms in a lovely 18th century house. 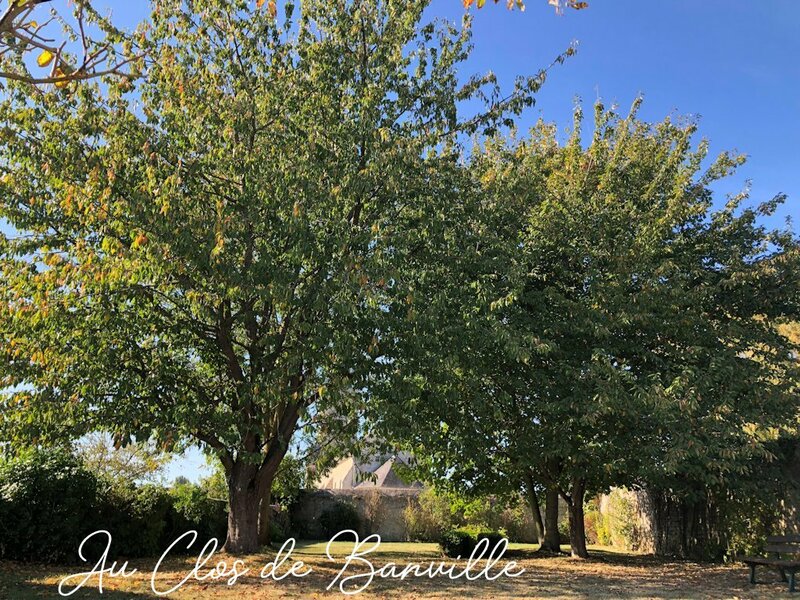 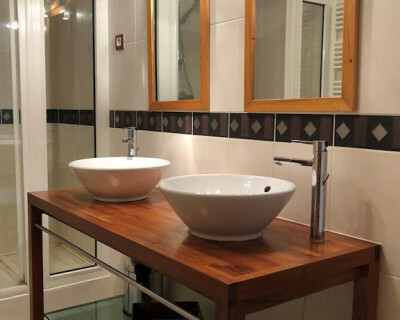 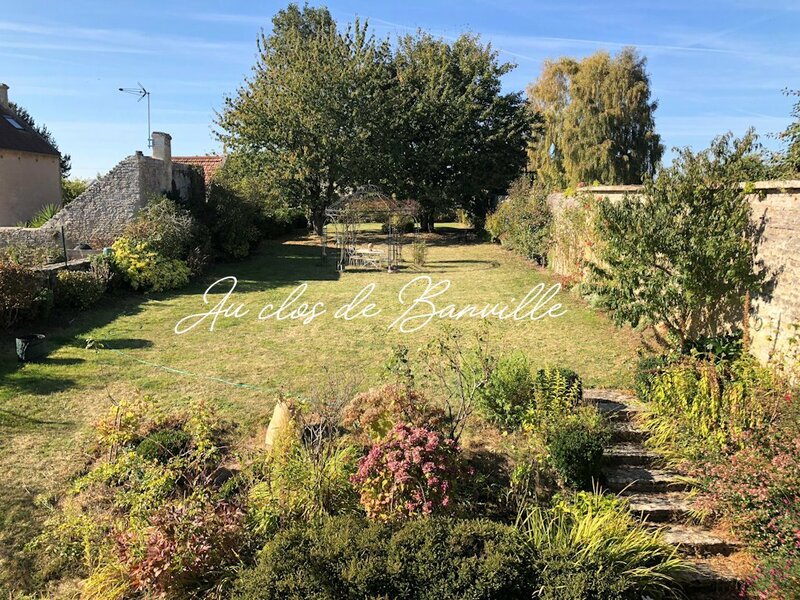 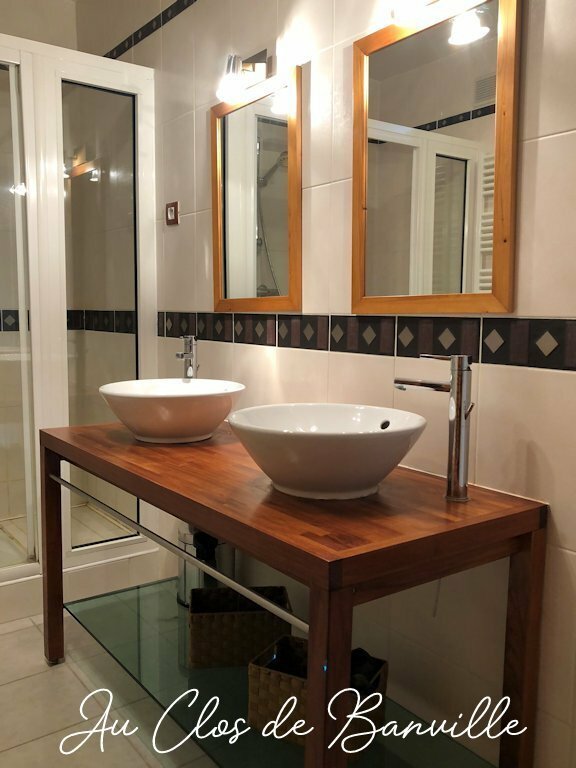 Just 3 km from the sea, come and enjoy the serenity of the countryside, the proximity of the landing beaches, numerous historical sites and remarkable cities such as Caen (15 min) and Bayeux (10 min). 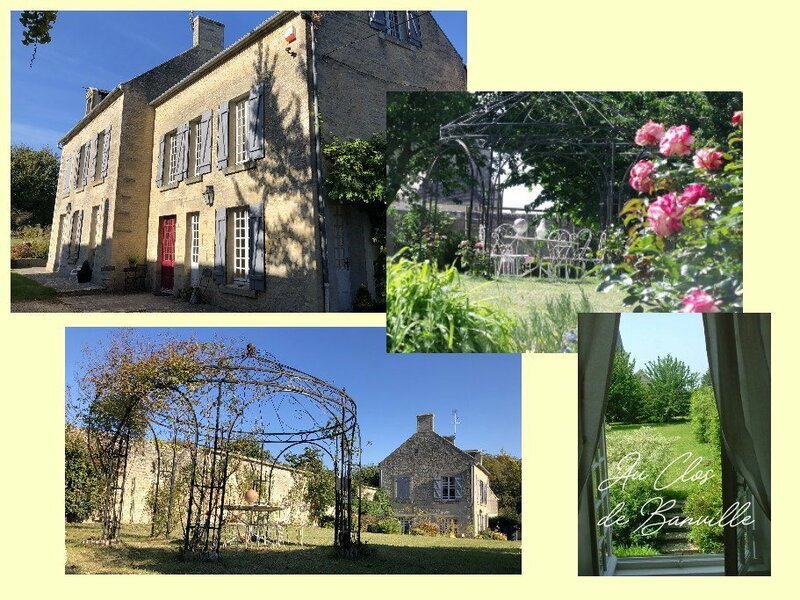 Our lovely garden, fully protected from high stone walls, allows the safety of the smallest. 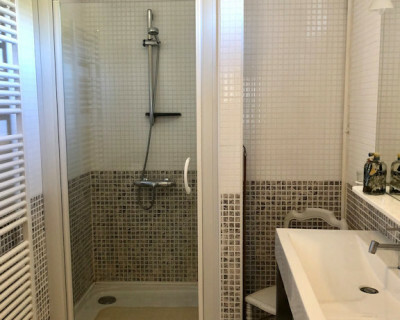 The house, having been designed to accommodate guests, has rooms with private bathrooms and WC. 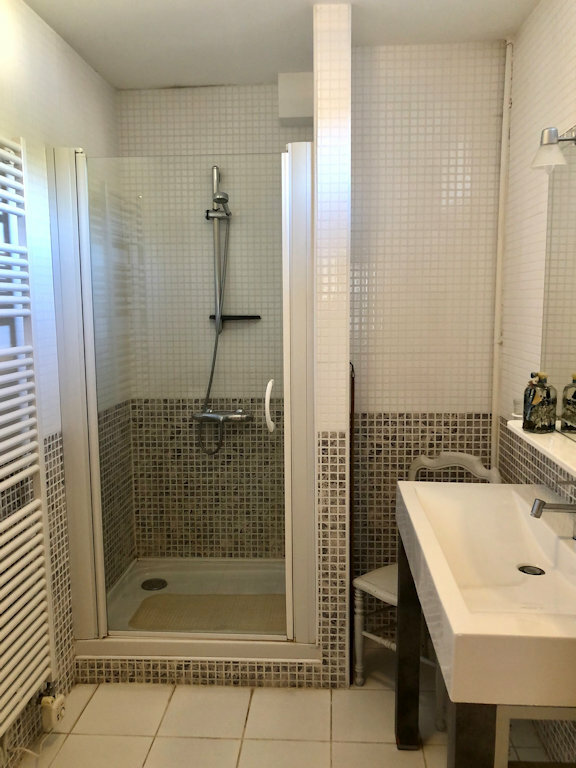 The thickness of the walls makes cohabitation pleasant by the absence of noise nuisance. 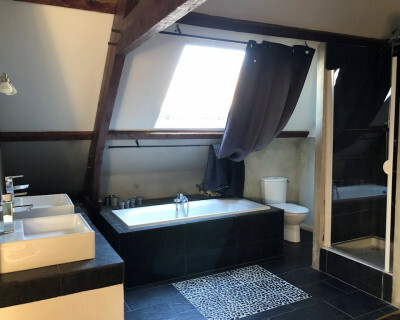 Possibilité d'un second couchage canapé convertible. 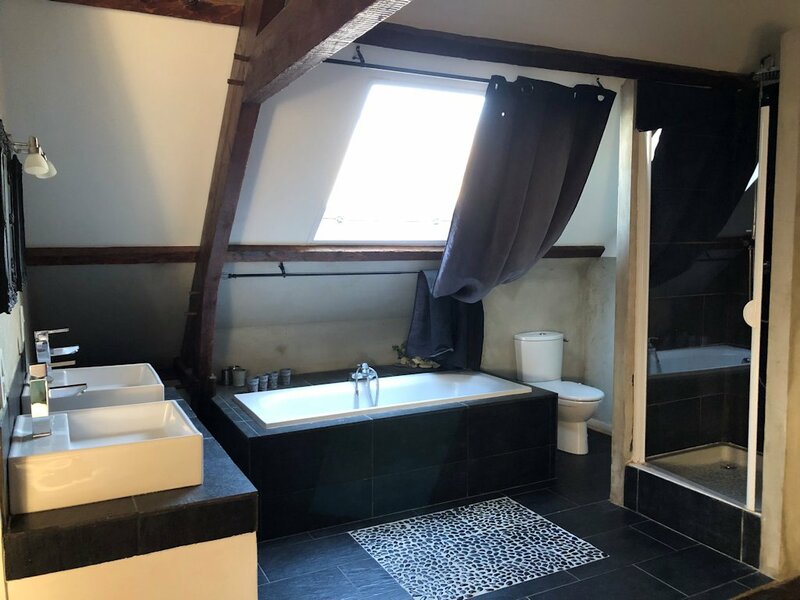 Chambre avec salle de bain intégrée. 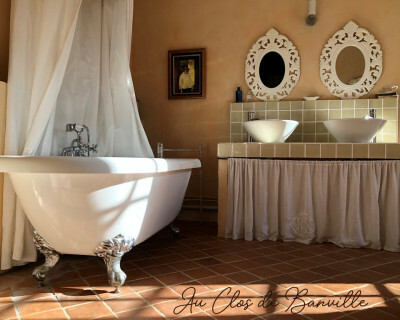 Possibilité d'un second couchage avec un canapé convertible.